Pretzel lovers rejoice! 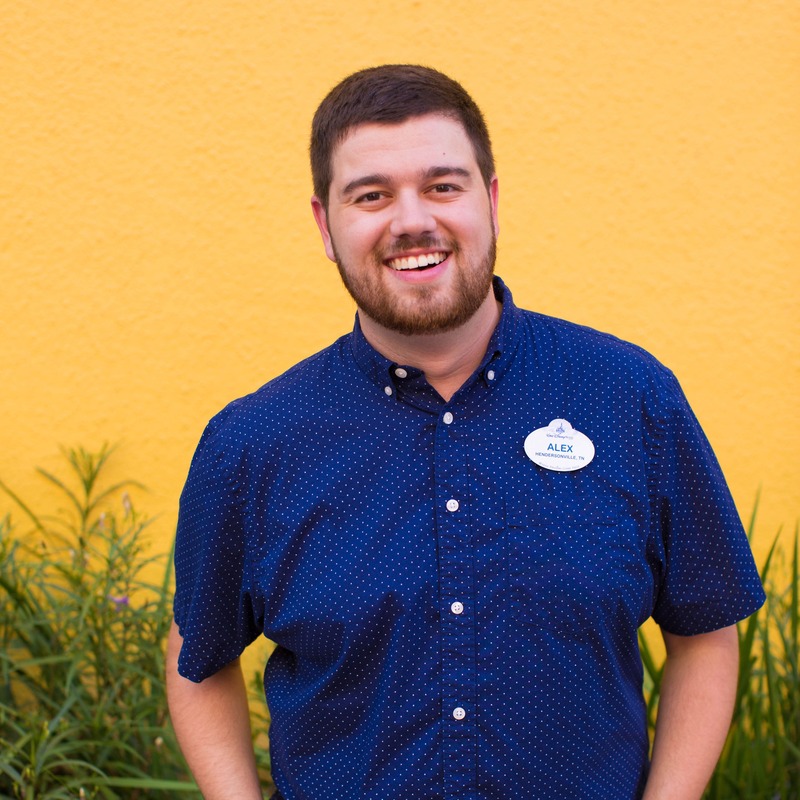 Wetzel’s Pretzels, an innovator of soft, fresh-baked pretzels, has returned to the Downtown Disney District at the Disneyland Resort after an extensive renovation. 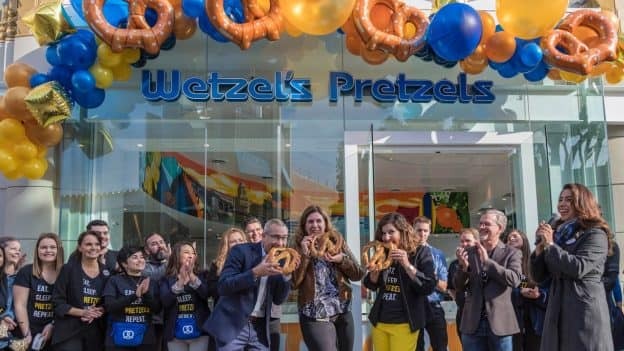 Wetzel’s celebrated its grand re-opening today with a deejay, festivities and a giant pretzel wall game, plus its famous pretzels you know and love! This flagship store features a California-inspired design with an indoor-outdoor feel and a modern, upscale look. Wetzel’s commissioned two local artists: Trek Thunder Kelly and Dan Medina. 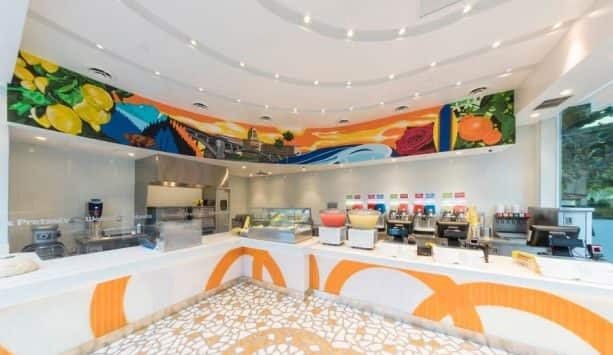 Kelly, known for his large-scale murals—including the Sky Mural in Venice Beach—painted a mural that wraps around the inside of the store with images of Pasadena, Wetzel’s hometown, and 12 hidden pretzels. Medina, known for his bronze sculptures, such as the Antonio Aguilar monument in Los Angeles, designed custom door handles that create a pretzel when the doors are closed. What’s your perfect pretzel? Is it the Cheese Meltdown, a Pepperoni Twist, a Wetzel Dog, a Cin-A-Bitz or the Original? 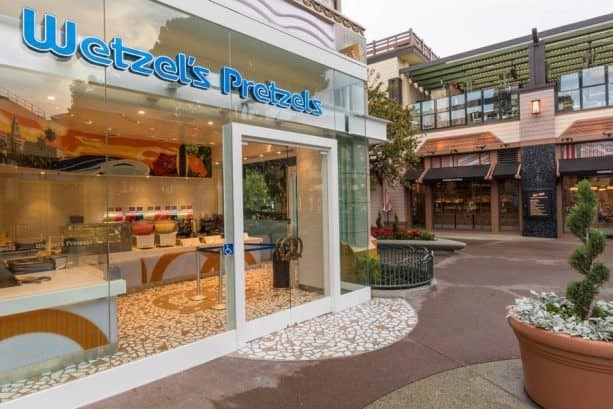 In the Downtown Disney District, Wetzel’s Pretzels serves its most popular items, including the company’s full line of pretzels, Wetzel’s Dogs, Bitz, and fresh and frozen lemonade. 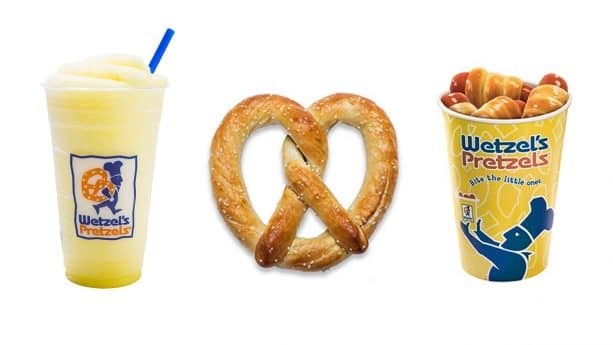 The pretzels are baked from scratch throughout the day from simple ingredients such as flour, filtered water, yeast and a touch of salt; it’s been the Wetzel’s way since the company’s first location opened 25 years ago. 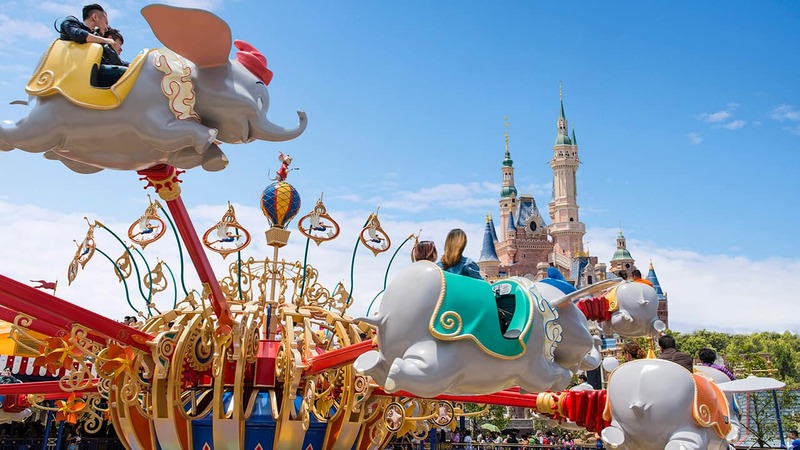 Downtown Disney District is the place to be with a myriad of exciting venues, shops and entertainment. This year, the promenade welcomed Splitsville Luxury Lanes, The VOID, The Disney Dress Shop, Salt & Straw scoop shop, a reimagined World of Disney store and the new Napolini. Soon the district will welcome the new Naples Ristorante e Bar, Ballast Point brewery and Black Tap Craft Burgers & Shakes, all coming soon! I love California themed places! I even enjoyed Disney California Adventure back when it was called Disney’s Adventure! I only wish we would hear more beach boys music at the resort!